Are your vehicle pages optimized for your customers? I get it that dealers want customers to feel like they're getting discounts, but this listing (and others on the dealer's website) has 13 dollar amounts listed. THIRTEEN! Five of those are simply labeled "Ford Qualified Offer" with no distinction between them. 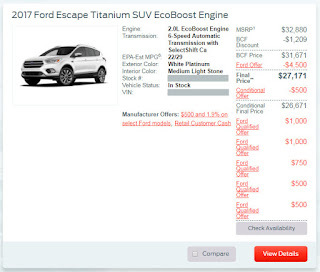 This happens to be a Ford Direct website, mandated by the OEM, and yet another reason why the manufacturers should stick to building cars and not websites. If nothing else, all the variation in pricing labels, undefined discounts, and sheer number of prices are overwhelming to the car shopper. How does YOUR dealer website provider handle this? Many clients have never had a need to learn website statistics such as those provided by Google Analytics, and they can be confusing at first (or second, or third) glance. This post (sorry it's a bit lengthy) is intended to help you understand some of the most important metrics, with examples using real-world data as seen in the table below. Visits - All of the data in the table above is averaged based upon visits. A visit is simply a session where a visitor is on your website and the two terms are often used interchangeably, whether the visitor only goes to one page or visits 100 pages. If someone goes to your website, visits five pages, leaves, then comes back an hour later, that is considered two visits, or sessions (even though it’s one visitor). Average Visit Duration - The average visit duration is exactly what it sounds like; an average of how long each visitor stays on a particular website per visit, from the time they get to your site until the time they leave your site. Leaving your site can be through a number of ways including “leaving” by closing their browser, clicking the “back” button after first arriving on your site, or clicking on a link that takes them to a different site somewhere else on the internet. Pages / Visit - Every page a website visitor visits is counted as a “Page View”. The “Pages / Visit” column is an average of how many Page Views the average visitor views, and since some people visit a site once while others are repeat visitors, the Pages per Visit metric is based on the pages per visit per session. If someone visits your website, visits five pages, leaves, then comes back the next day and visits five more pages (even if they’re the same pages), that would result in 10 Page Views but an average of 5 pages/visit. Bounce Rate - The Bounce Rate is the percentage of visitors who leave a website after viewing only one page. Let’s say, for example, someone wants to buy a red sofa and they’re very particular that it must be red. Let’s say that person goes online and searches for “red furniture”. If from the search results they click on a link that takes them to a furniture company’s website that only sells blue furniture, they would likely click the “back” button on their browser because they knew immediately they weren’t going to find a red sofa on the blue furniture company’s website. That visitor is said to have “bounced” because they only visited the page they landed on and didn’t go to any other pages on that site. Higher Bounce Rates aren’t always a bad thing, as we’ll see below. You’ll notice in the table above that several values are circled in red and numbered (1) through (8). This is how each will be referenced throughout this section for easier reference. It’s also important to keep in mind that the sites listed above are extremely popular websites and the metrics you see are not what you should expect from your own site. Google for example has over 2 trillion searches per year. Facebook has over 1 billion active monthly users. Don’t try to take the numbers from the table above out of context because your website is NOT Google, Facebook, or any of the other sites you see here. The purpose of this is simply to show where some differences in metrics come from. Average Visit Duration is one metric that most people assume the longer the duration, the better. While this is often true, there are many scenarios where it’s not the case. Take a look at items (1), (3), and (5) and the websites each one corresponds with. Now think about how people typically use each of those sites. Facebook is known as a site which people tend to visit out of habit or when bored. They tend to scroll through their timeline, click on a few friend’s pages, make some comments, share an article or two, and leave. An average of around 16 minutes (1) probably seems within the normal range to most people. Youtube is where people go to watch videos and listen to music, so naturally the average visit duration is going to be substantial...over 24 minutes in this case (3). Compare that to Wikipedia at just over 4 minutes per visit (5) and Youtube has more than five times the duration of Wikipedia, so why is that? Again, this goes back to behavior. People visiting Wikipedia are generally researching some topic they want to know something about. Let’s say you want to know the population of China. A quick search yields a Wikipedia page at the top of the results, and people know that’s a site they can go to in order to find out what they’re looking for, so they click on it. The information is easy to find on Wikipedia, the visitor gets everything they need quickly, and leave if that’s all they wanted to know. The thing to note here is that Average Visit Duration can be low because most people simply don’t like your website, or it can be low because your site is structured so well that visitors are able to find the information they need very quickly (e.g. if they’re just looking for your phone number or address). In the latter case, a lower Average Visit Duration is better. Conversely, a high Average Visit Duration may indicate that people really like your site content and spend time reading it, or that they can’t find what they’re looking for. A visitor to one car dealer website may have to click on every vehicle to see the mileage, whereas another car dealer website may have a filter to display only vehicles with less than 50k miles. The second site in this example would yield a shorter Average Visit Duration, but it’s actually a good thing for the visitor in this case. Pages per Visit can be looked at in a similar fashion. Wikipedia has an average of only around 3 pages per visit in our table above (6) while Facebook has an average of over five times that amount at 15 pages per visit (2). Most people assume that more pages per visit is better, and often it is, but it’s not always the case. Let’s go back to how the average person uses Facebook versus Wikipedia. Facebook is a site which people tend to browse through, clicking on multiple pages per visit. Wikipedia, as mentioned in the example earlier, is typically the end point for someone who is searching for very specific information. Once they get the info they were looking for, they don’t typically browse through additional topics unless they’re related to the original topic. This would explain the gap in pages per visit between those two sites. Again, these numbers need to be taken within the context of user behavior on a macro level, like the difference you would expect in how many pages someone viewed while browsing through an old family photo album versus how many they viewed while browsing through the dictionary. They’re both technically books, but used very differently. Bounce Rate, like the other two metrics being discussed, is also a number that can be better if it’s higher or better if it’s lower, therefore site usage is important to keep in mind. In the example of Live.com the bounce rate is extremely low at 13% (8). When you consider that people going to Live.com are going there for the very specific purpose of logging in to their Microsoft account, it makes sense that almost everyone going there does go to at least one more page before leaving. Similarly, many sites linking to Youtube do so in such a way that the visitor knows ahead of time they’re going to end up visiting Youtube by clicking on the link, and as you’ve probably seen, Youtube has an entire column to the right of their videos which shows related videos, encouraging and making it very easy for visitors to go to at least one more page/video before leaving the site. This sort of site structure helps to lower the bounce rate to just 19% for Youtube (4). The bounce rate for Wikipedia is incredibly high with almost half of the visitors leaving after viewing just one page (7) and as with everything else, this is a direct result of usage patterns. Let’s go back to how most people use Wikipedia (searching for a specific topic and clicking on the Wikipedia result in the search engine). Since they’re often searching for something so specific, they land on the Wikipedia page for that topic, get the info they need, then leave the site. If you’re looking for the population of China and find it on Wikipedia as in our example, you’re pretty unlikely to get sidetracked and visit other pages on the Wikipedia site. You’re almost 50% likely, as the bounce rate suggests, to leave after finding the info you sought. With the car dealer website example, consider that many visitors will arrive on your site after seeing one of your vehicles on a 3rd party classified site. Think of how many visitors are likely to click on a vehicle, let’s say on Craigslist, get taken to your site, either looking for or seeing something about that car they didn’t see before (e.g. if you don’t have a price on Craigslist they may click to see if you have one on your website). It’s typical behavior for that person to hit the “back” button on their browser and get back to looking at the other vehicles on that classified site, especially if they’re looking for something very specific that your vehicle doesn’t have. Of course you want every single visitor to buy a car but that’s not reality. This isn’t necessarily a bad thing when bounce rates are “high” (whatever you want to consider high). It could simply mean that visitors are finding the info they want quickly, without having to jump through a bunch of digital hoops (links) to find it. In summary, analyzing website statistics isn’t really a black and white issue. There are several factors that go into making sense of the numbers, everything from the website design itself and who your target market is, to how and where you’re marketing your website. While many think every website should have a high visit duration and number of pages per visit with a low bounce rate, it’s not always the case. Sometimes, but not always. Every website is unique and will have its own statistics, so knowing what to make of those statistics is the key to understanding your own metrics. It's no secret that mobile device manufacturers are in a highly competitive market. So many options, and most people only pick one device every couple of years. I don't pay that much attention to the latest phone coming out, unless I'm actually in-market for a new one. When I am in the market, I spend some time researching what's available at that time (or within the months that follow) to see if it makes sense to wait. More on this in a minute. As someone with a degree in psychology and who is, shall we say, heavily involved in marketing, I don't see advertisements like most people do. The average person listens to what the advertiser says; I pay more attention to how they say it. Sales is a process of skillfully guiding a prospect down the path you want them to go. If you've ever been in sales, you've likely heard the saying that the #1 thing that kills a sale is that the salesperson never actually asked for the sale. From the standpoint of a website, a call-to-action is essentially "asking for the sale". It may not be an actual purchase, but let's look at a car salesman's website as an example. Let's say you're car shopping and end up on an auto salesperson's personal website. You learn a bit about the sales rep, how they grew up in the area, have 3 kids, and whatever else they present through their personal branding. Once you become comfortable with that salesperson and decide to enlist their services, what do you do next? Most people will say "head to the dealership", but that's only because you're reading this and imagining a page with a bunch of words on it, describing who the rep is. Imagine if the biography of the salesperson you just read also has a form on that page to schedule your personal appointment with them, or even a "click-to-call" button. Such a "call-to-action" is a logical "next step" for the website visitor, and helps to guide them where you want them to go. A call-to-action is essential. In this case, the sales rep wants to collect that person's info. Doing so enables them to, at a minimum, follow up by email, phone, etc. If they can show their manager at the dealership that they had been working the lead when the prospect arrives at the dealership, that sale goes to them. 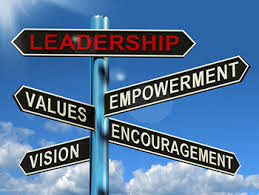 If the prospect had simply learned about the sales rep then drove to the dealership, the prospect will most likely end up with another rep because they probably (1) forgot the sales rep's name, (2) forgot to ask for them, or (3) was simply approached by the hungriest rep at the store. So what does all this have to do with mobile phones? I'll bring it home for you. 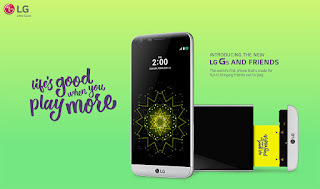 I was recently on Twitter and noticed a pay-per-click ad from LG, promoting their new G5 smartphone. I'm not in the market for a new phone, but curious, I clicked on it and then the link they posted for info about the phone. It brought me to a decent micro-site for the G5 phone, complete with great photos and features. And that's it. No way to request more info, no way to pre-order one, and no way to even follow LG on social media for that matter. So I'm supposed to think of LG when I'm in the market for a new phone 3 months from now. With everything else going on in my head. And all the other ads I'll see between now and then. A simple form to submit an email for a reminder when it's available, or better yet, a form to pre-order the G5 would likely result in more sales. Even if it only generated one extra sale, the 10 minutes it would have taken to add that form to the site would have been worth it. Personal Branding for Car Salespeople, It's PERSONAL! It's the new year, and many people use this time of year to set personal goals including the classic "I'm going to join a gym and lose that weight I've been meaning to lose." Last year one of my family members paid $750 for a half-price gym membership with good intentions and only used it twice. Those were some pricy workouts! Seems crazy, right? Is it the gym's fault that their client didn't gain VALUE? Of course not. In fact, they contacted my family member and encouraged them to use the membership they had paid for. My family member knew he wanted to lose weight but apparently wasn't willing to put in the work. At the end of the year he was disappointed and exactly where he started a year ago. So what does this have to do with a car salesman or personal branding? A lot, actually. At least based on what I see almost daily. I got a call from an automotive salesperson client this morning who has been using our services for only about 6 months. He has a great website, he's motivated to sell cars, and he takes all his own photos to manually upload vehicles to his site for his customers. So what's the problem, you ask? Simple: his personal branding website is "just another website." It's great that his site contains vehicle inventory to show his clients, an online credit app to get the financing started at the dealership he works for, directions to his store, contact forms, etc. While evaluating his site this morning I noticed a very important piece missing, content. You would think that over the course of six months he would at least put a sentence or two on his "about me" page but to my dismay, it's still completely blank. For a site that's intended to help a salesman with personal branding, there's not much personal about it. Just like the gym example above, just having a personal website is one thing; it's another thing to use it. Unfortunately this is quite common with our clients. We try to beat it into their heads that the site is all about YOU and people want to get to know YOU before they hand over large sums of money for a vehicle purchase. Being able to view the inventory is great but without any personal touch, the site is just another dealership-style site that provides the same info to the shopper they can find elsewhere. As a salesman you don't want to compete with the dealership site because that's a battle you'll never win. It should compliment the dealer's site. In other words, there's no real value that sets it apart from the dealership site itself. We'll keep badgering our clients to write a few sentences about themselves, and we'll keep seeing heightened success by those who take the 5 minutes to do so. Remember, personal branding is personal! We speak with thousands of car salesmen each month. Naturally, our prospects and clients come from all walks of life and enjoy various levels of success. We provide the same tools to each client, so why would one be more successful than another? Usually it boils down to how the rep handles self-promotion, and a large part of that is through social media sites like Facebook, Twitter, Instagram, etc. Sometimes we see "red flags" when prospects want to sign up for our services, and one such red flag as an example is when we're asked if we manage a client's Facebook page. Could we do this for clients? Sure. There are companies that offer services specifically for this purpose. The problem is that social media is supposed to be exactly that, SOCIAL. If someone is relying on a 3rd party company to promote them on social media, the company is essentially pretending to be the rep. If someone isn't going to bother managing their own Facebook page for example, why would they hold themselves accountable for any other self-promotion? This has the ingredients for failure. Sales reps can be busy, I get it. I have a hard time myself keeping up with our company social media profiles, this blog, and any other PR that I'm responsible for. An important thing to remember is that nobody knows you better than yourself. Trusting outsiders to "be you online" for the sake of convenience isn't a marketing strategy, it's a lazy way out. Think about it: if someone else is managing your fan page on your behalf, how often do you actually login on your own and interact with fans? If you're not engaging fans, what exactly is your hope that social media will accomplish for you, other than being able to say you have a fan page? As time goes on, more and more car salesmen are utilizing social media to generate extra leads which they ordinarily wouldn't get from the dealer's marketing efforts. When used properly, it can be tremendously effective. 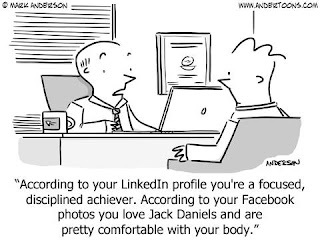 We sometimes have salespeople sign up for personal websites who naturally want it connected with their social media profiles. After viewing a forum post on DealerRefresh recently, I decided that one aspect of social media use by sales reps is important enough to mention here: using a personal page vs. a professional page. Rule of thumb: if you're using social media to generate more leads, use it as if you expect your grandmother to follow your page. Keep the unfiltered version of yourself for close friends to avoid alienating people that want to give you thousands of dollars for a new car. As anyone else in the technology sector of the automotive industry can attest, every vendor has their own system and wants things their way. Just look at inventory data feeds for example. Our company, Higher Turnover, LLC, maintains approximately 100 inventory feeds between data imports and data exports. Most companies like ours have a dedicated team with the sole purpose of creating and maintaining these feeds. This is necessary in today's world because again, every company wants something different. Out of 100 inventory feeds that our company manages, probably about 99 of them are unique. The system most vendors use is archaic from a technology standpoint; ASCII text files sent from one vendor to another which are then parsed based on how the fields in the data file are mapped to that particular vendor's own structure. Some files may be comma-delimited, others may be pipe-delimited, tab-delimited, XML, and anything in between. As vendors, we should seriously consider creating a standard format that satisfies the needs of all. This would greatly reduce the amount of time and effort we spend making sure each feed is consistent, and at the same time enable quicker deployment of new feeds which are popping up every day as new classified sites are launched that our clients want their vehicles on. There's really no reason NOT to have an industry standard format that simply contains ALL available fields that we as vendors may need. If one vendor doesn't have a particular field available in their database (let's say "Down Payment" for example), that field could simply be omitted as an optional field or left blank. There would be a minimum amount of required data such as VIN, year, make, model, trim, etc. and a large amount of optional fields. An industry standard was created years ago for web leads (ADF-XML) and has certainly simplified things on that front, but vehicle data files remain as an assortment of varying file specs. I know I'm not the first person to suggest this, but little discussion has ever come out of any suggestions in the past, so I hope to change that. On a side note, another beneficial tool would be to have a database of known customers who have either committed fraud (i.e. signing up for services when they are a non-dealer and found to be operating a scam) or who have become delinquent in their payments before moving on to the next vendor and doing the same to them. Not a "blacklist" per se, but more of a low-level background check based on info supplied by previous vendors. Something to let each other know "hey, this dealership used services for 3 months then disputed their credit card transaction for payments". The info would be available to vendors as more of an "FYI", and the vendor can choose to do with that information as they wish. If any of our fellow vendors want to participate in creating industry standards for data feeds and/or a "red flag" list, please feel free to contact Jake at Higher Turnover, LLC through our website, www.higherturnover.com. 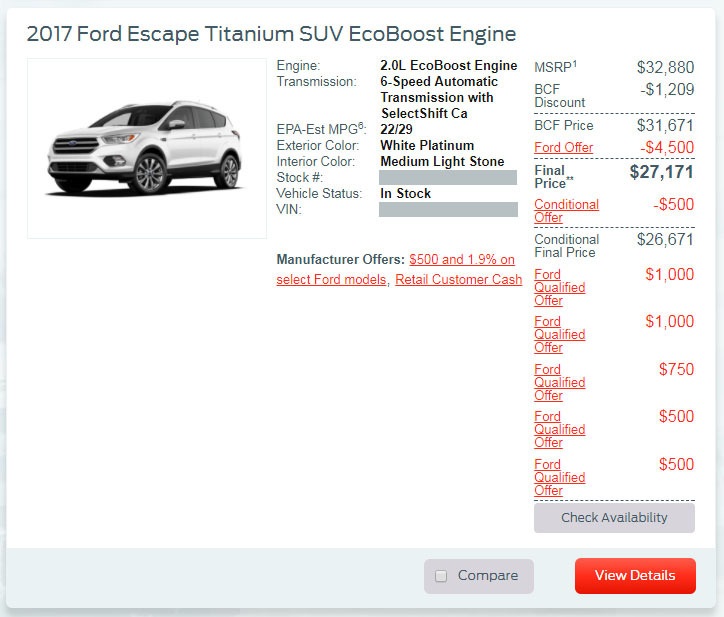 Vehicle Descriptions - Do You Want More Leads or Fewer Leads that are Better Qualified? Whenever I buy or sell a vehicle, I like to consider things that a dealer would normally face when marketing their vehicles. One such topic (which I've actually touched on in previous posts) is the age-old question of which is better, receiving a high number of leads (including, in large part, the tire-kickers), or receiving a much smaller number of leads that are better-qualified? Selling a vehicle recently I evaluated this question and have come to my own personal conclusion: more leads are better, even if many of them seem to be people who are bored and want to talk on the phone. I had my 2004 Jeep for about 3 and a half years. For the past year and a half, I've had it listed on Autotrader with a high price on a run 'til sold listing, simply because even though I loved the car, if someone wanted it at my high price, I'd be willing to part with it. I'd get an occasional email about it, but nothing ever materialized. A few months ago I purchased a newer Jeep, so it was time to get serious about selling mine. I dropped the price so it was below Kelley Blue Book, wrote up a nice description, and had it listed on both sites. Once I got serious and had a more reasonable price, the calls/emails ramped up a bit. Exactly what one would expect. I let the ad sit on both sites with the new price/description, but I still wasn't impressed with the results. I'd get people contacting me that were serious buyers, but nobody actually pulled the trigger on the purchase. I thought the price was right so maybe it was likely due to a lengthy description (credit due to my girlfriend for pointing this out too, and making me change it). I changed my 2-3 paragraph description to just a few sentences, being intentionally vague, and all of a sudden the phone began ringing again. Long story short, the shorter ad generated an immediate response, and the car sold within 48 hours of making that change. The take-away from this is that as a general statement, people are pretty lazy. People didn't want to read about all of the new parts I had installed, the difference between an Overland and a Laredo, or anything else I had written. Getting more leads meant I at least had the chance to sell them, whereas fewer leads meant many who may have been interested, simply didn't initiate the sales process. What I learned from this (or more accurately, what I confirmed) is that for me personally, it was helpful to generate more leads, even if many of those were just asking questions that could have been answered by a long narrative description. It meant that it was on me to sell the vehicle, not the ad. In a dealership setting, I would recommend a balance...tell enough about the car to begin building value, but don't try to sell it before the customer even contacts you. For those dealers who write a lot as I'm inclined to be somewhat long-winded, you're going to turn some legitimate buyers away simply because they don't want to read everything you wrote. Just as price point is very important when selling, the description is equally important, and that includes the length of your description. Again, this is not really a revelation, but confirmation to me. On a side note, I ran an experiment several years ago in the post "Will Cars Sell Better on Craigslist or Autotrader?" in which my vehicle ultimately got better response (and sold) as a result of Craigslist. That was many years ago, but it appears that Craigslist still outperformed Autotrader for my vehicle in 2014. I wrote about this topic years ago with an actual client example (original post here). In that analysis, I had one client who was over the top when it came to design requests. If it could be done, he wanted it on his site. Eventually the site became cluttered and went against every convention I knew of. Music playing, animation, blinking text, etc. It was crazy but as long as he was paying his bill and I did everything I could to convince him NOT to do those design things, that was all I could do. After a year and many discussions about how his website wasn't accomplishing his goals, I convinced him to let me rework the site the way I thought it was best. If he didn't like it, fine, we could revert back. The website leads increased by 400% almost overnight. Dealers shopping our products on higherturnover.com sometimes ask why our designs are very simple. At times we have even had dealers choose another provider over us because they preferred the look of the other provider's designs. Is an aesthetically pleasant design important? You bet. Is it the most important thing? That just depends on what your priority is. Would you rather have people comment on how "cool" your design is, or would you rather have those people coming onto the lot to buy cars? Ideally there is a balance between the two, and that's where Higher Turnover Websites can help dealers who don't know much about web design principles. Interested in hearing more about this? Check out this post from November on the ConversionXL Blog. Yup, the title of this post is intentionally sarcastic in nature. The fact is, a high percentage of car shoppers believe the auto industry is overloaded with dishonest dealers, sketchy salesmen, and an almost endless supply of people/companies who want nothing more than to see the shopper separated from their hard-earned money and to sign on the dotted line for delivery. A 2012 Gallup poll listed car salesmen at the bottom of their list of perceived trustworthiness, right below members of Congress. Whether you agree with that assessment or not is irrelevant; it's not what this post is about. This is about the same (or maybe worse) level of corruption within the industry from a vendor perspective. First some background. For every Rolls Royce Phantom there are many more Chevy Cavaliers, yet people buy more Cavaliers than Phantoms. That makes sense based on affordability. Why then would someone who can afford a Rolls Royce go with the Chevy? This happens all the time on the vendor side. There is no shortage of companies in the auto industry that push crappy products, due in large part to the fact that there's no shortage of dealers who buy those crappy products. What about when a dealer or salesperson is under the false impression that their vendor is legitimate though? The short answer is that it doesn't matter. Whatever the impression, there are some bad companies out there, many of which haven't been called out by their competitors. I'm not about to call anyone out by name, but I am going to expose a few practices which dealers may not know about. Let's start with one of the dealership rating/review sites. My last vehicle purchase which was not from a client did not go very well. I fought for 3 full months to get the dealer to honor items which were agreed upon in writing at the time of delivery. I visited the service dept. at least 5 times during those 3 months too. All in all, not a good experience, which is why I wanted to let others know about my personal experience. I submitted a review to a well-known dealer rating website and to my surprise, it was removed by an administrator the same day with no explanation why. Maybe it wasn't "moderator bias" or the fact that the dealer was a paying client of the rating site, but it sure seemed like it. My review was completely objective and truthful, but the site moderator apparently did not want my negative review to hurt the dealer's already poor reputation. There is another company who publishes an annual report of dealer website providers. We (Higher Turnover Websites) have received decent reviews in this publication on a consistent basis, so clearly that's not my issue. My issue, which I brought to the publisher's attention last year, is that their publication which is presented as an objective review, is not always apples to apples in their comparisons. They will do a "quick review" of a company's products/services, but if a company wants to pay them a fee (if I recall it's a few thousand dollars), they can be more fully reviewed. If their objective is to provide a good source for unbiased comparisons of companies, they should not be taking money from a small portion of those companies they are reviewing. To me that's not far off from presidential campaiging...ever been to one of those $25k per plate dinners? Me either. I don't know that I can really categorize this company as being "corrupt", but unbiased as they say they are? I don't think so. The third and final gripe I have is with another industry website/blog. I have respect for the creator of the site, but I think it has evolved over the years to become something that I'm not happy with. Occasionally I get inspired to comment on a post when I feel I can contribute something positive to the community. The past 3 times I've left comments, they were deleted by the moderator. These weren't comments that were hurtful, no foul language, or anything else of the sort. They were literally just me weighing in to discussions that I found relevant and that I could offer some helpful advice to other readers. I have to wonder, since the site owner knows I'm a vendor, and they accept sponsorship money from other vendors, is this a possible reason my comments are being removed? Who knows if that's the case, but I do know this: it really seems like more sites/companies/etc. out there are filtering things (i.e. "media bias") so you only see or hear what they want you to see or hear. It's discouraging, but I guess we live in a different world where some things are crammed down your throat until you believe them and other things are intentionally hidden from the masses. PLEASE NOTE: Externally-hosted images (IMG tag) will soon be disallowed in for-sale ads. Please use CL image upload. In case you're not clear on what the img tag is, it's a way to have an image (e.g. an ad for your vehicle) displayed on the Craigslist site without actually uploading the image to Craigslist. Using the img tag enables you to specify a source on your own server, or if using a 3rd party autoposter, a source on their server for the image displayed. 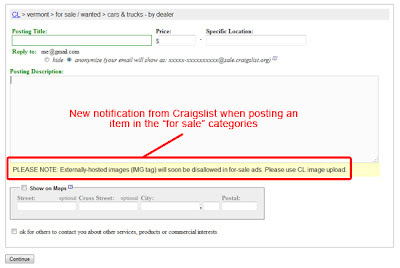 It was only a matter of time before this happened, because Craigslist had absolutely no control over what images were being displayed, and some sellers (including car dealers) were abusing the site by flooding it with post after post of their own inventory, even duplicating the same vehicle several times per day. 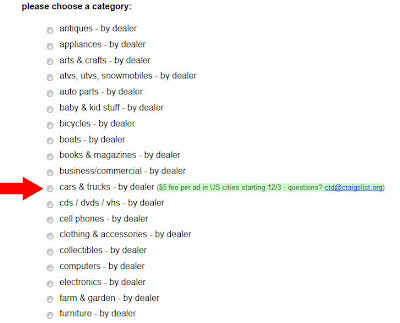 If the classified listings have 100,000 ads for used cars in one city and 20,000 of those are duplicates, it decreases the usability of the site for car shoppers, kind of like having to sift through your inbox when it's full of spam. A simple email I received prompted me to write this post today. The email was from a "website development and marketing company" based in the Western U.S. The message was short and sweet: they saw I just registered a domain name and wanted to know if I needed help with programming, design, or marketing. We get emails like this all the time. Some are well-written, some are not, but the point of this post is the bigger picture. Someone who didn't know any better and who had a real need for website design or internet marketing at the moment they received the email might have hired this company. Every decision-maker has the right to hire whomever they wish, but chances are you don't have to think too hard to come up with a horror story about a friend, relative, or even yourself who made a bad decision at some point and had to live with it (i.e. money or time wasted). For some reason it seems that car dealers are especially susceptible to "being sold" on a vendor's products or services, without doing any due diligence at all. It ended up in my spam folder - If they can't even get their own emails successfully delivered to my inbox, why would I hire them to do email marketing for me? There were grammatical errors - Again, if they can't write a 3-sentence email without grammar and spelling errors, how would that reflect on my business if they were representing us? It was addressed to a generic name - If they want to impress me with their marketing skills, they probably shouldn't be referring to me as "Mr. Admin"
These sort of emails are a regular occurrence. I just happened to look this one over as I was emptying my spam folder and decided to comment. We see it all the time...dealers who choose a website provider because the salesperson "sold" them. These are the same dealers that come to us 6 months later, complaining that they wasted thousands of dollars on empty promises. If you're a dealer reading this, don't say you haven't been warned! How Many Sales Do You Lose on Fridays? I'm guilty of it from time to time, and I'd bet money that you are too...mentally "checking out" on Friday afternoons. Sure, it would be great to be at happy hour, or with your family, or whatever it is you look forward to when starting your weekend instead of finishing up those last couple of hours at work, but staying focused at the end of the week can make a difference in your paycheck. I've seen it a million times...a salesperson is an hour or two from wrapping up their day and watching the seconds tick by on the clock. What they're not seeing, or sometimes even downright ignoring, are customers. Not just customers that show up on the lot, but customers in your CRM system, Rolodex, or whatever it is that you keep customer info stored in. If you're sitting at a desk for your last hour at the dealership and checking out Facebook, reading news articles, or doing other "non-work" activities to just get the day finished, you're shooting yourself in the foot. How many calls to past customers could you make in an hour? All you need is one good call every Friday and you're potentially talking another 50+ units sold throughout the course of the year. Could you use that extra commission? Sure, salespeople can survive by cherry picking those ups who fall into their lap, but you can EXCEL by being proactive and "running through the finish line", not just trying to get to it. Happy Friday, and happy selling! Google confirmed recently that they pushed the 23rd update to their Panda algorithm since the first release in February, 2011. For readers who aren't familiar with what this means, this is the 23rd time in the last 22 months that they've "tweaked" the ranking mechanism which determines where your website ranks in their search results. This constant tweaking is a nuisance to some webmasters, as you can see from some of the comments on this Search Engine Land post. It serves as a reminder though. The important thing to take out of this is that Google has become such a large part of our lives that often we lose sight of how much we rely on them to drive business our way. 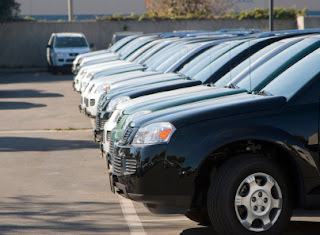 Someone searching for a car online may run across your vehicle that matches their search. Someone looking for a nearby dealership may end up finding your website. They only find these things because of Google or whatever search engine they're using. Imagine if Google decided to start selling cars and remove all car dealer websites from their search results so they could effectively "hide" their competition. Sure, that's an extreme example, but it's the sort of thing (the bigger picture at least) that you should be thinking about. Because the web offers so many advantages over traditional media, and because it's the most cost-effective marketing platform, it's become huge. Sure it may make sense to put the majority of your marketing dollars there, but don't put all your eggs in one basket, because although unlikely, the next Panda update could wipe your dealership off the most widely used digital map. A little marketing diversification can go a long way, especially when it's geared toward a combination of both traditional advertising media and various online platforms, not just a narrow focus on SEO for one search engine. 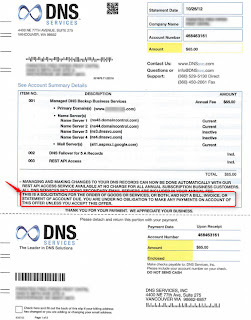 Every few weeks we get a call or email from a client wondering what the "bill" from DNS Services or the Domain Registry of America is for. The truth is, it's not a bill, but rather a shady tactic these unethical companies use to try and trick people into paying them money. 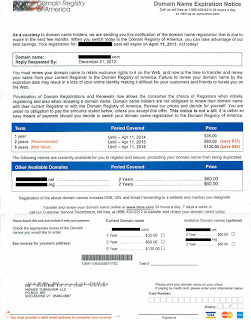 They market via direct mail, and send what appears to be an invoice for domain renewals, often complete with a message indicating the client's website is going to be taken offline if they don't act fast. They're presented in a fashion that highlights the "scare tactics", but if you read the fine print, it shows that it's not actually an invoice. 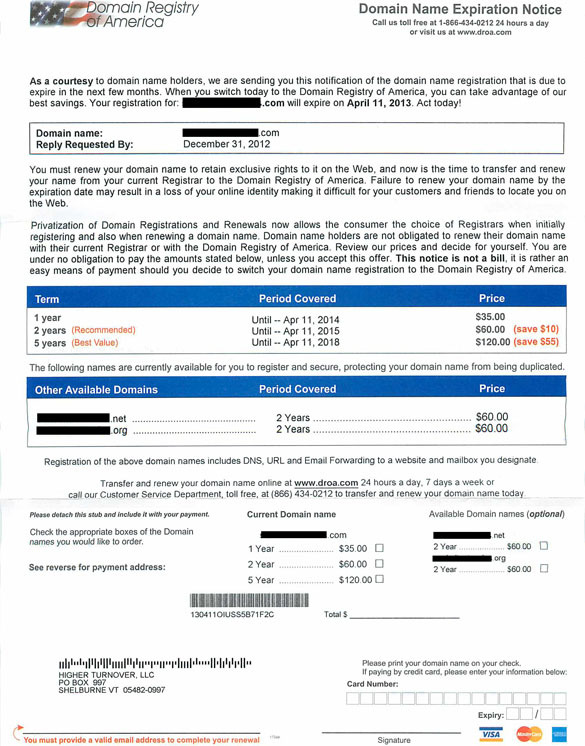 These companies make their money from the people who don't know any better and end up sending a check for domain registration services, at a rate of typically 10x the normal rate you can register a domain with a reputable company like GoDaddy.com. 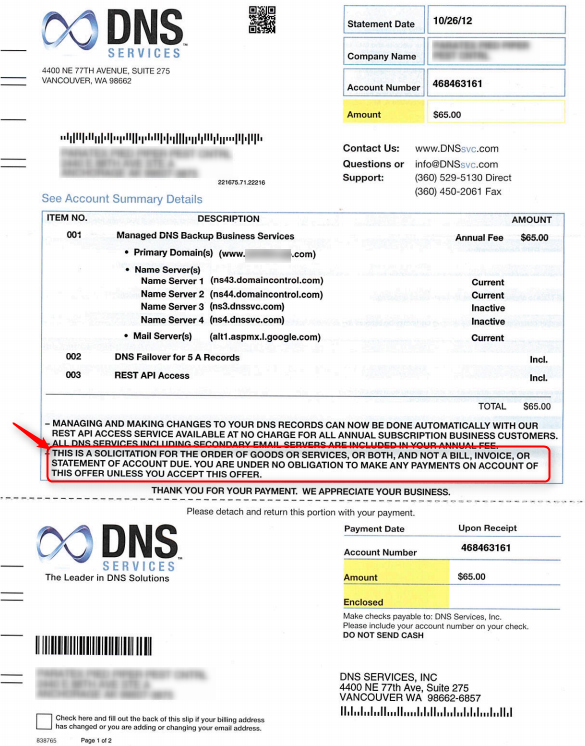 If you receive one of these fake invoices, our advice is to throw it in the trash where it belongs. After all, if a company has to trick you into doing business with them, does it really matter what they're trying to sell you? Avoid these companies unless you want to spend unnecessary money and cause yourself a headache. After a lengthy process of restructuring our company website, I was thinking about how much a car dealer normally has to go through to switch website providers, and unfortunately the answer is "not much" with most providers. I say "unfortunately" because by not doing things properly, the dealer's website can take a big hit in the search engine results and rankings. It takes a lot of work to do things properly, and because dealers typically don't know any better, they trust their new provider will do it the right way. Providers can get away with not spending the extra time/effort and 99% of the time the dealer will never know, but as a reputable dealer website provider, Higher Turnover insists on doing things the right way whenever possible. Usually a websites URL structure (the names of the pages) will change from one provider to the next. Someone may have an inventory page as "inventory" while another may have it as "vehicles" or something else. Pages get indexed in search engines, and if the appropriate steps aren't taken, all of your search results could be useless. Imagine your old provider has your vehicles at www.yoursite.com/inventory and that's the way your vehicles are indexed (included) in the search results. If you switch to a provider who uses a different URL, for example www.yoursite.com/vehicles, the visitor who clicks on your indexed link in the search results will likely be taken to an error page because the page they were taken to no longer exists. Some things to put in place to avoid these problems are uploading a new sitemap to the search engines (which lets them know what pages currently exist on your site) and automatically redirecting all old URL's to the corresponding new pages. These are relatively simple things to do which help you retain search engine rankings, and perhaps more importantly help your customers actually get to your new site when they click on a link in the search results. If you're considering a switch from one dealer website provider to another, make sure they are accountable for making your transition a smooth and PROPER one.